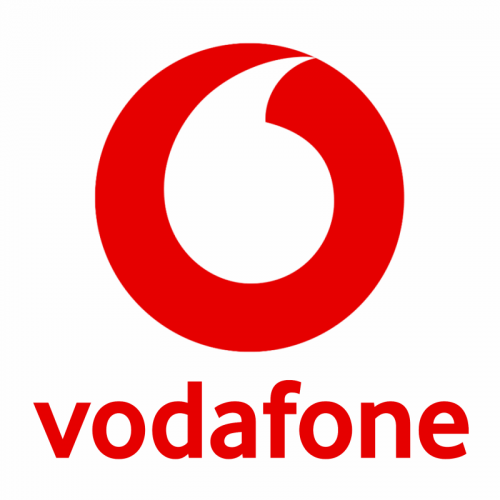 Telecoms operator and ISP Vodafone UK has released their latest quarterly results to the end of 2018 (Q3 FY19), which saw them add another 46,000 fixed line broadband ISP customers to total 525,000 (up from +44K added in the previous quarter). Meanwhile their mobile base grew to 17,175,000 (quarterly rise of 120,000). Overall it’s been a positive quarter for Vodafone, one where they also found the time to showcase a new approach to expanding 4G and 5G mobile coverage by installing small antennas “below street level” (here). On top of that they’re still set to benefit from Cityfibre’s investment to build a new 1Gbps capable Fibre-to-the-Home (FTTH) broadband network to cover 5 million premises across 37 UK cities and towns by the end of 2024 (here). Cityfibre’s network is in its infancy and for the time being this means that most of Vodafone’s broadband growth will be coming from their existing FTTC (VDSL2) based packages, where they’re trying to attract customers by adopting aggressively competitive pricing (e.g. 35Mbps from £20 per month and 63Mbps from £24). However they’ve faced pressure from rivals offering similar deals, but recent discounts have kept the growth going. Meanwhile it’s good to see Vodafone’s mobile base return to growth after several consecutive quarterly declines. Lest we forget to mention that they’ve also just agreed terms to extend their existing mobile network sharing agreement with O2, which should cover both future 5G services and possibly the fibre optic cables that link to their masts / base stations (here). On the subject of mobile, Vodafone also reported that 59% of their consumer fixed broadband base take a Vodafone mobile product. “We have executed at pace this quarter and have improved the consistency of our commercial performance. Lower mobile contract churn across our markets and improved customer trends in Italy and Spain are encouraging, however these have not yet translated into our financial results, with a similar revenue trend in Europe to Q2. We enjoyed good growth across our emerging markets with the exception of South Africa, which was impacted by our pricing transformation initiatives and a challenging macroeconomic environment. Overall, this performance underpins our confidence in our full year guidance. We are moving to implement a radically simpler operating model and to accelerate our digital transformation, as demonstrated by the organisational changes we have announced in Spain and the UK. We are also assessing opportunities across our markets to improve asset utilisation through partnering. On the financial front fixed service revenue grew 7.3%, driven by continued strong momentum in consumer broadband and by ongoing growth in business. Overall UK service revenue for the quarter hit €1,426 and that’s largely flat from the previous quarter (€1,438m). The full report is here (PDF). Vodafone says it’s also “pausing” deployment of Huawei equipment in core networks until Governments can clear up any security concerns, which follows by BT and EE’s recent example. Their Super Fast 1 fibre service is great. No having to pay for phone line on to of the £22! Except you are still paying for the copper line, it’s about half of the cost of your service rental. Vodafone couldn’t offer you FTTC broadband without also paying the wholesale charge for line rental (phone), but they simply choose not to mention that. At Michael V. You might be paying for the copper line in the one packaged cost just like you’re paying for the cost of the router, customer service, billing costs, app support etc. But it looks like Vodafone don’t charge it as a separate cost like other isps do. What I ment was fibre usually costs a lot more from other ISPs. SSE are the only other ISP that offers fibre at a similar price out of the big players. BT was a minimum of about £30 at the time. All ISPs have been required by the ASA for ages to include the cost of line rental and broadband into a single price. But ISPs still have to pay those wholesale charges for both services, that doesn’t change. Providers can choose whether or not to reference line rental to you in the itemised billing, but all I’m saying is that the ISP itself still has to pay for it regardless (it’s not like they get the line rental for free at wholesale). Vodafone are cheap because they’re using an aggressive pricing strategy to grow, which is largely being subsidised by their wider business. This is the same approach that countless other ISPs have used in the past (e.g. Sky spent a good few years subsidising their broadband growth after taking on the base from O2). I have moved 4 family members to Vodafone. They are cheap. I had issues with my father’s setup though. His cctv system could not work, a simple router swap from their crappy vodafone router sorted it. It was a nightmare getting a static ip and the dsl login details for the new router we bought. Once setup though it has been great.